Animal days out are always a hit with children. 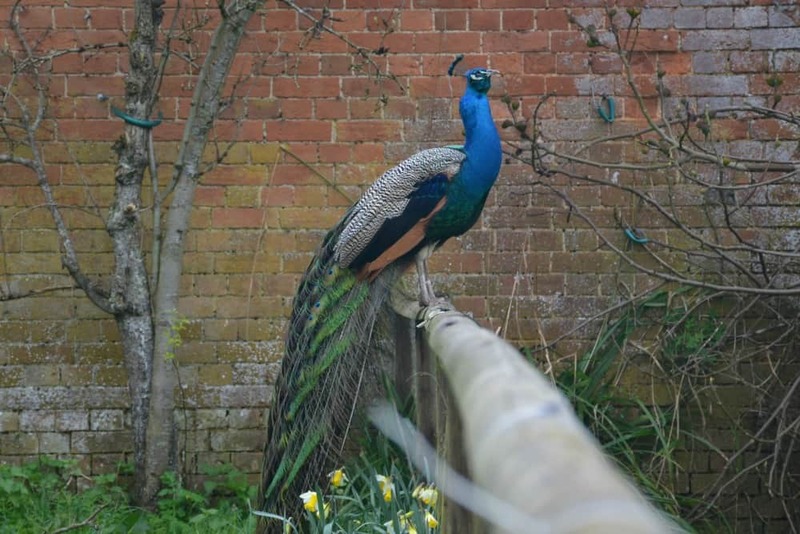 But how often do you have the chance to get up close and personal with native British wildlife in their natural habitat? 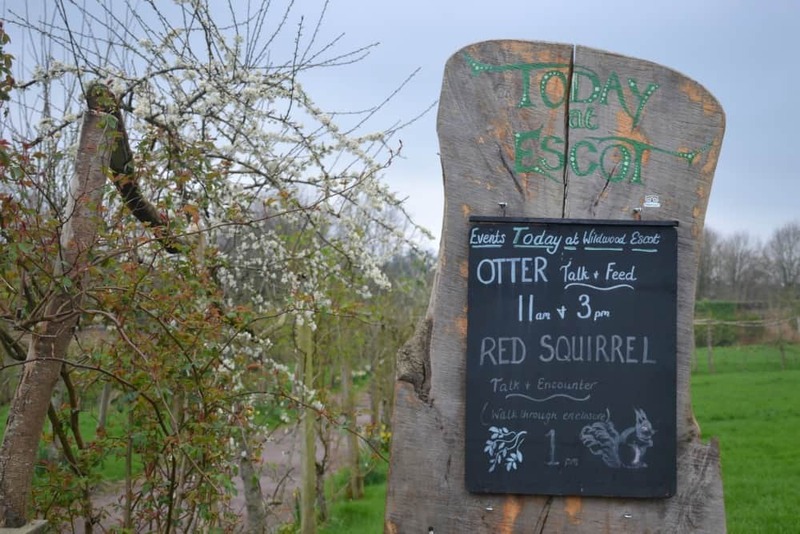 In the heart of rural East Devon is Wildwood Escot – a conservation and education park that offers you close encounters with red squirrels, otters and, soon, the grey wolf. 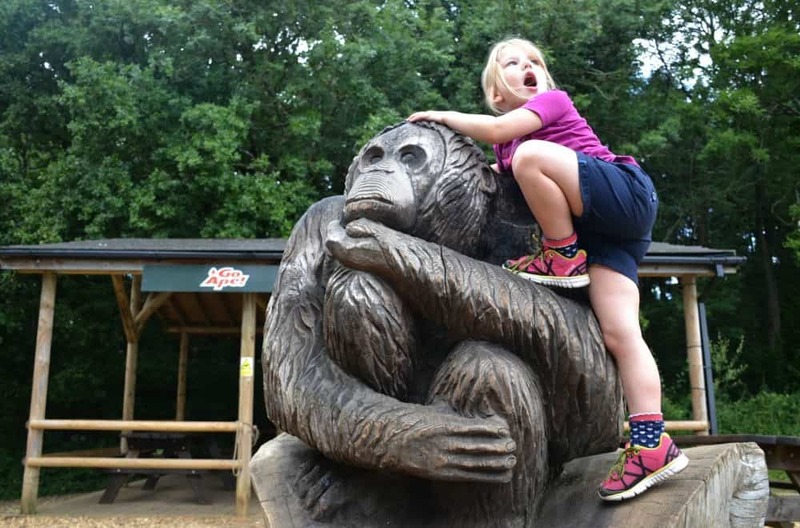 We we invited to visit this Devon family day out during our glamping weekend at Oakdown Holiday Park near Sidmouth. It was also the perfect excuse to test the new kids clothes we’d been sent by the lovely folks at Hawkshead. Wildwood Escot is part of the Wildwood Wildlife Trust and is home to a collection of species that can be found in and used to live in the British countryside. 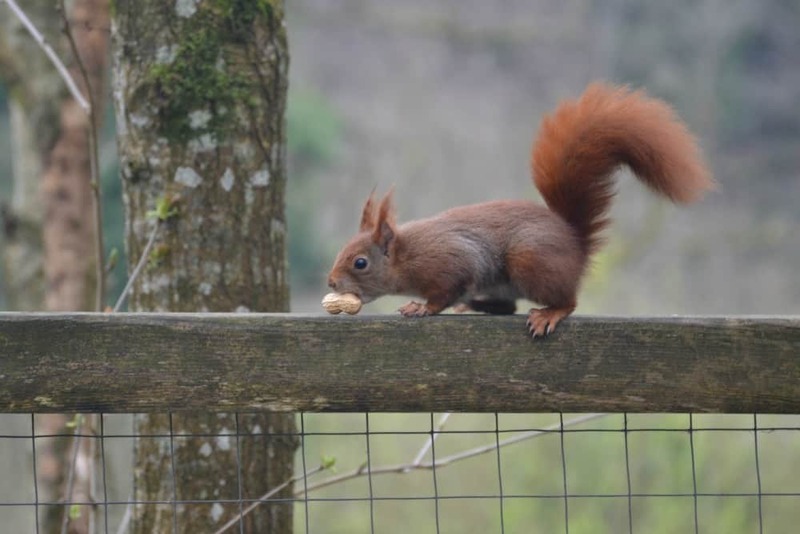 In the woodland enclosures you can see wild boar, wild cats and the increasingly rare red squirrel. 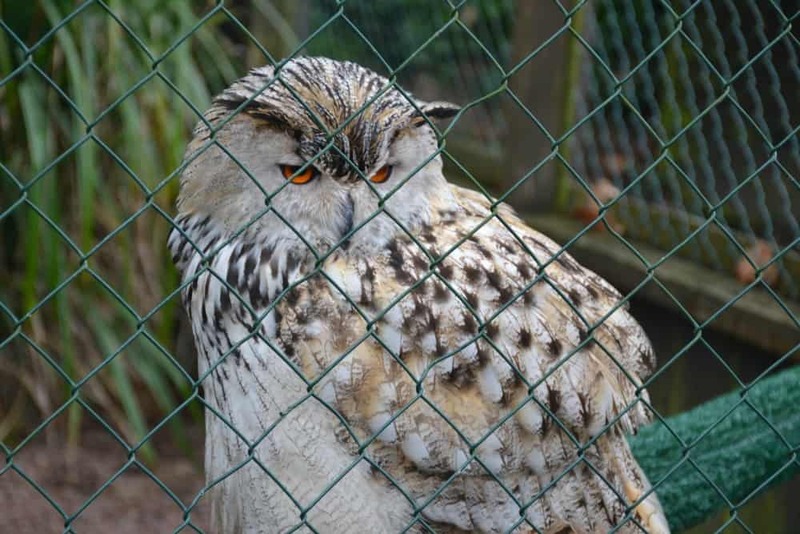 There are also opportunities to meet Asian Short-Clawed Otters, Birds of Prey and small pets. In the past month the park has also welcomed a pack of six grey wolves from Sweden. They were acclimatising when we visited so we couldn’t see them ourselves. I imagine they will be a wonderful sight roaming in their forest enclosure. 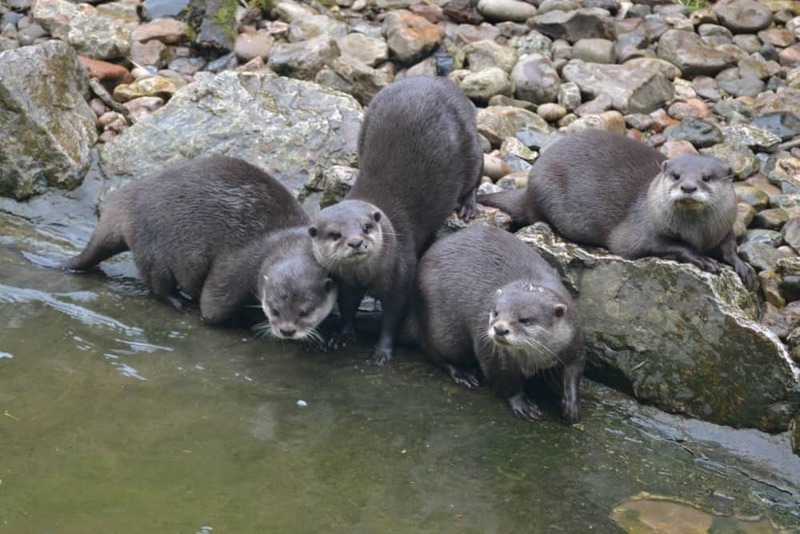 The very first thing we did was head to see the otters who are fed twice daily. The knowledgeable keeper told us about the family group which is kept in check by the daddy, Peanut. They are such great characters, super cute and very noisy when they know their meal of turkey mince and vegetables is on its way. 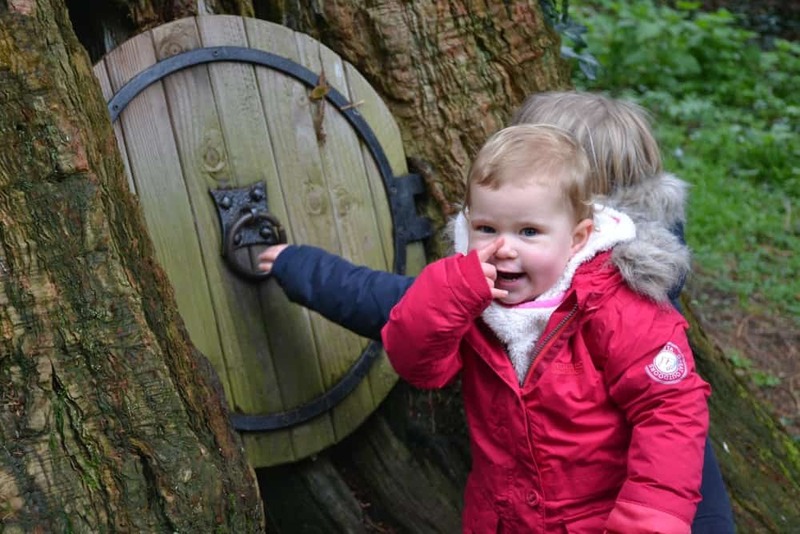 Next we wandered past the birds of prey into the woods where we came across some tree spirits and fairy doors. Or, maybe from their size, they belonged to something a bit bigger. Let me know if you have any ideas as no-one was at home when the girls knocked. 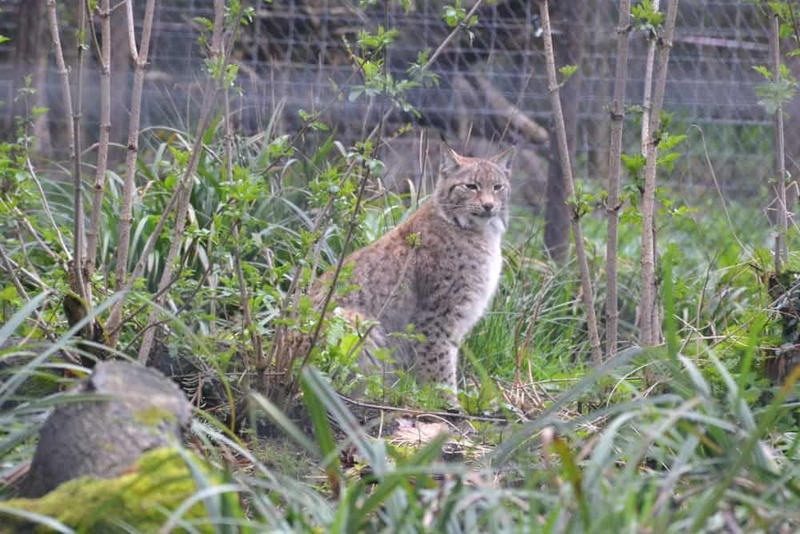 We made our way through the trees and Rhododendron bushes past Lynx and wild boar enclosures. Every now and again we saw glimpses of the shy beasts through the undergrowth. After lunch in the Coach House Restaurant we joined the red squirrel talk in the walk-through enclosure. You can access this for free just outside the car park. It was a wonderful experience with four different squirrels hopping onto the raised walkway to snack on nuts and seeds offered by the keeper. The enclosure is guarded by an electric fence to keep the squirrels in and their grey cousins, who carry diseases, out. Next we decided to test our orienteering skills in the beech hedge maze back in the main park. 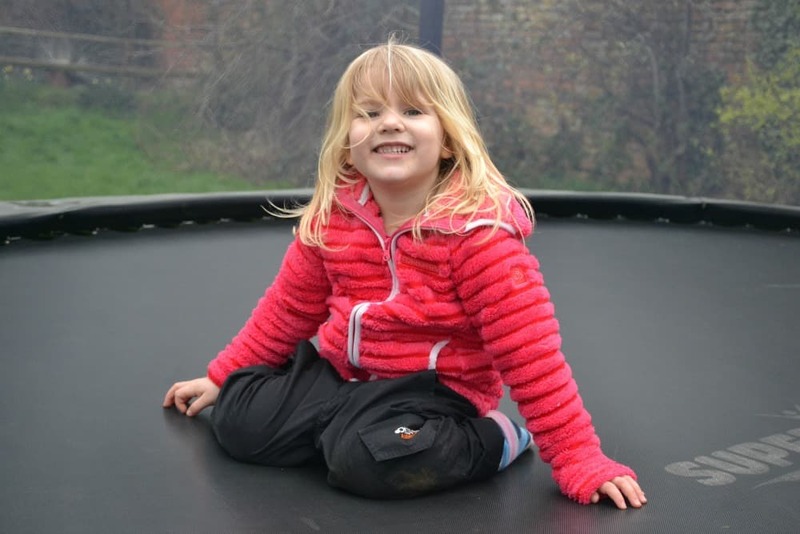 On the way we found a trampoline, which the girls thoroughly tested, and then the fascinating Saxon Village. The smell of smouldering wood fires and discarded tools made it look like the tribe had just left. We visited on a Friday out of peak season so looked around by ourselves. 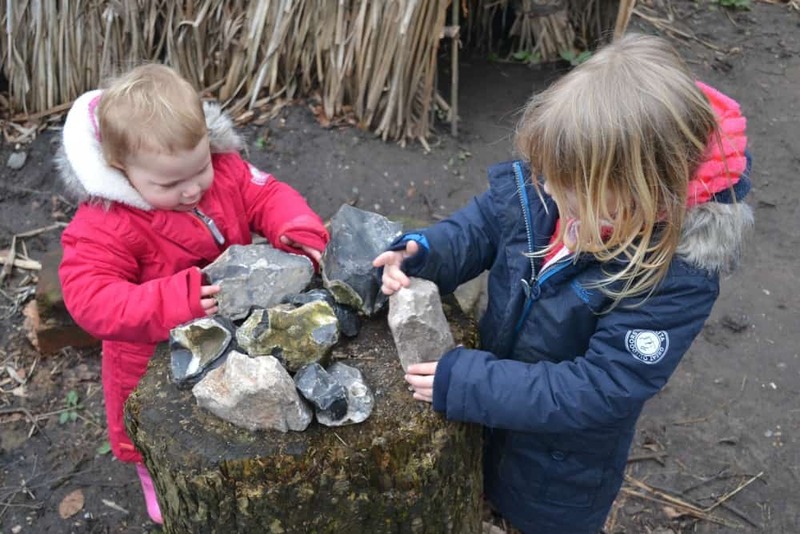 At busier times you can make your own Saxon penny and see the Anglo Saxon forge at work. The girls and I were beaten by the maze – it’s not for the faint hearted with four bridges and a raised platform in the centre. Leave pushchairs outside if you can. We found our way to the middle once Mr Tin Box joined us from work at the end of the day. He took the logical approach and just kept going left. However, I felt our random approach was a lot more fun. I’d have loved to have gotten the girls further into the woods as there was a lot we didn’t see but they were getting tired. 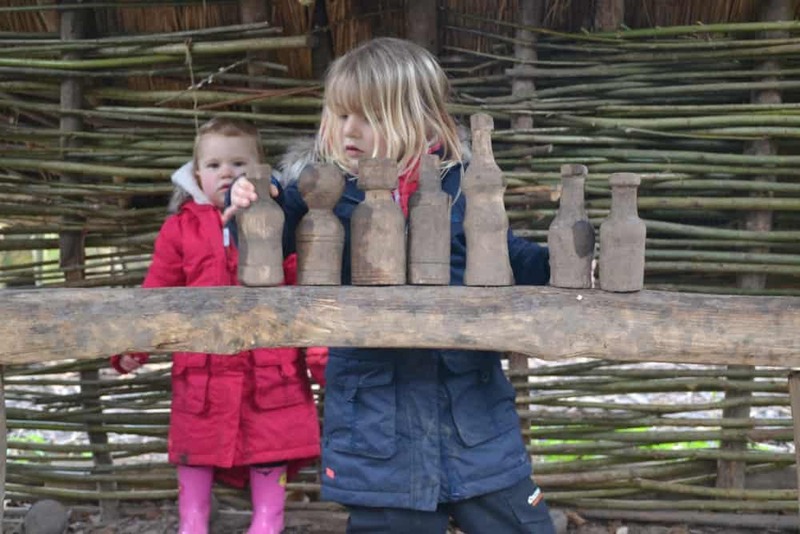 We could easily go back and spend another day retracing our steps and exploring the things we didn’t see first time including the bottle tree, drop slide and pirate ship playground. 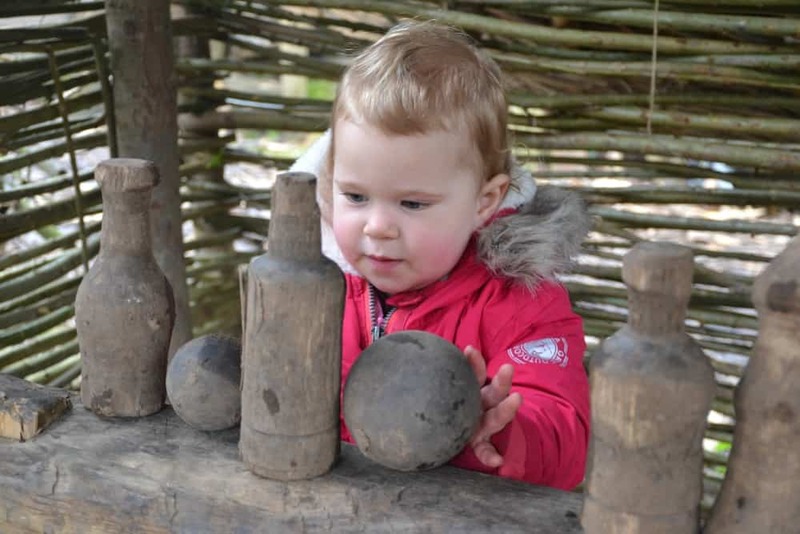 There are toilets and baby changing facilities in the Coach House Restaurant and in the Play Barn inside the park. However, the Play Barn was closed when we visited. 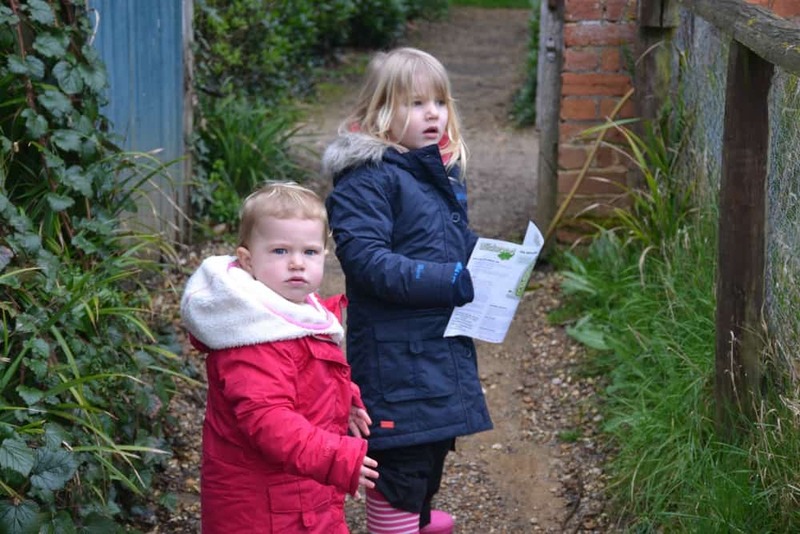 It was a bit of a trek back to the restaurant, so make sure your little ones go when they have the opportunity. We had lunch in the restaurant, which was busy because of the park’s corporate team building experiences during the week. Our food still arrived quickly. While we waited the girls were entertained by a good selection of books and toys at the back of the room. I thought our meals were a bit expensive at £7.50 for a no frills jacket potato and salad, which I split between the girls, and just under £5 for a panini and salad. 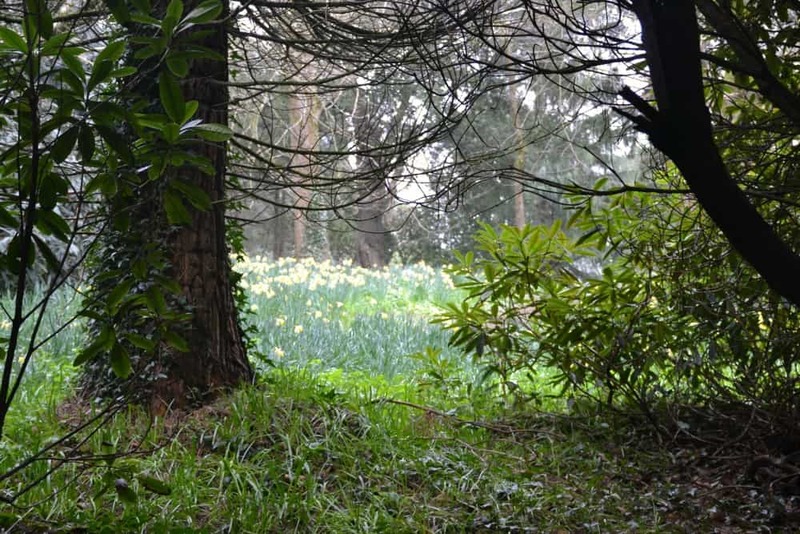 If you’re visiting in during wetter weather make sure you have wellies to stomp around the woodland paths. There’s also disabled and pushchair friendly routes marked on the site map you’re handed at reception. 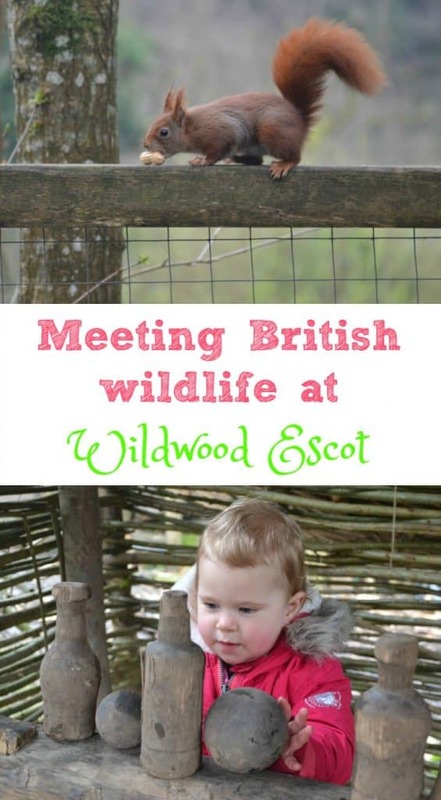 I loved the forest setting of Wildwood Escot and the chance to see some of our rarer British wildlife up close. 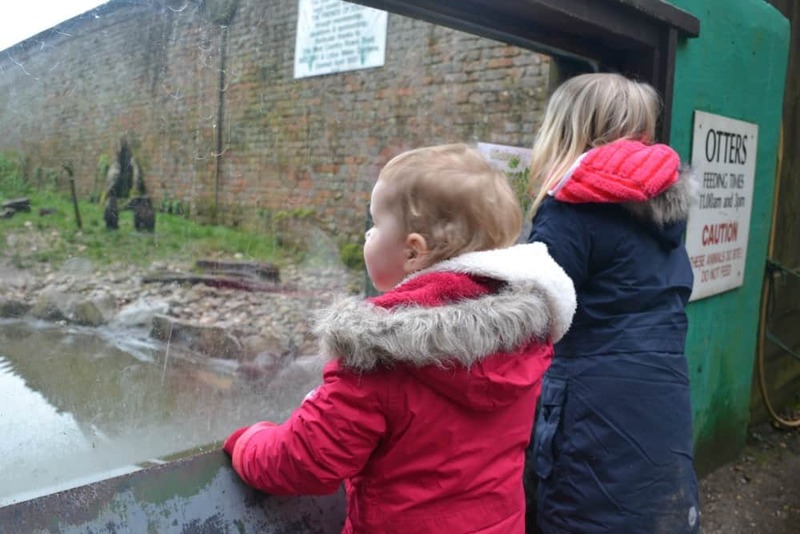 Our favourite experiences of our visit were seeing the squirrels and otters. 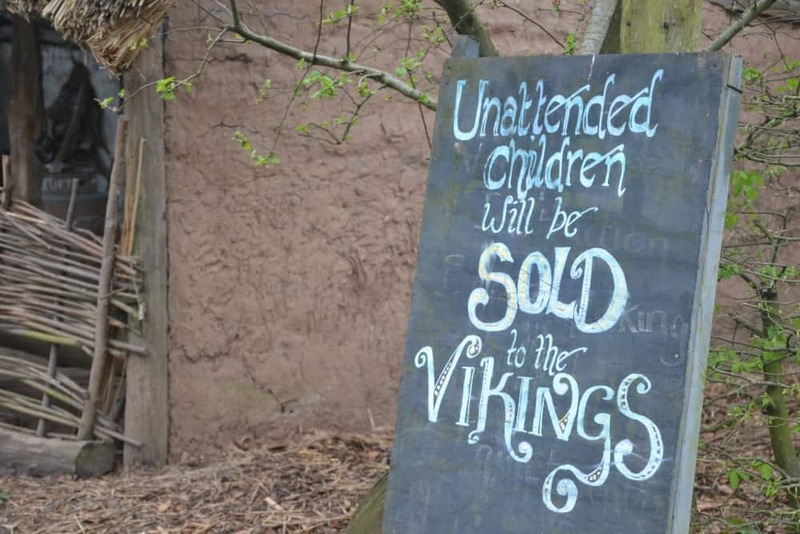 I thought the Saxon Village was really authentic and the maze was great fun. The girls loved the trampoline, fairy doors and red squirrels. 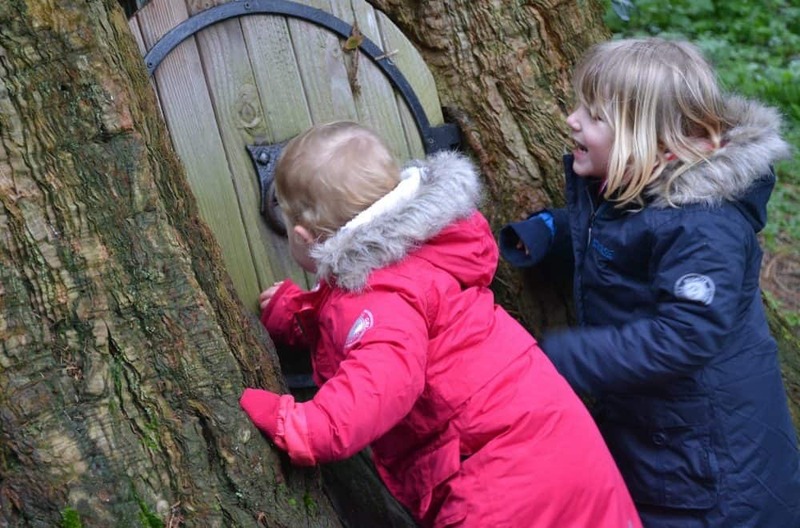 Wildwood Escot is a great outdoor adventure for kids that I think preschool and primary aged children will enjoy. 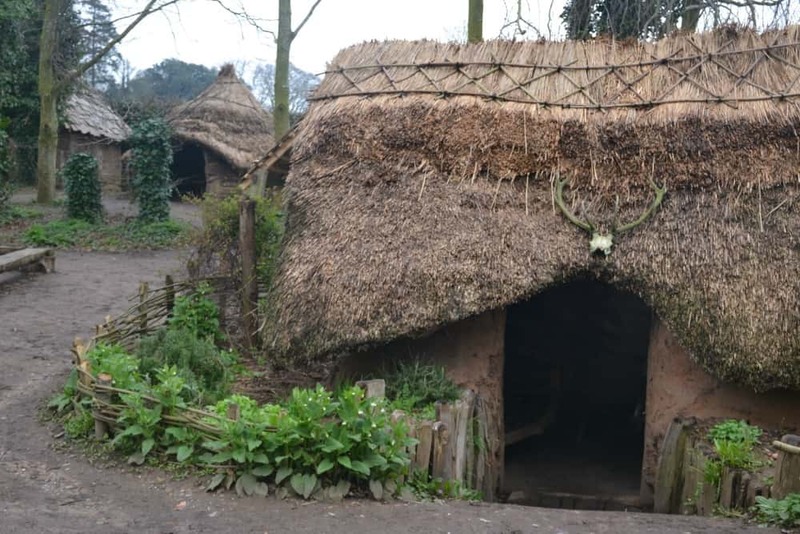 You can find out more about visiting Wildwood Escot on its website. 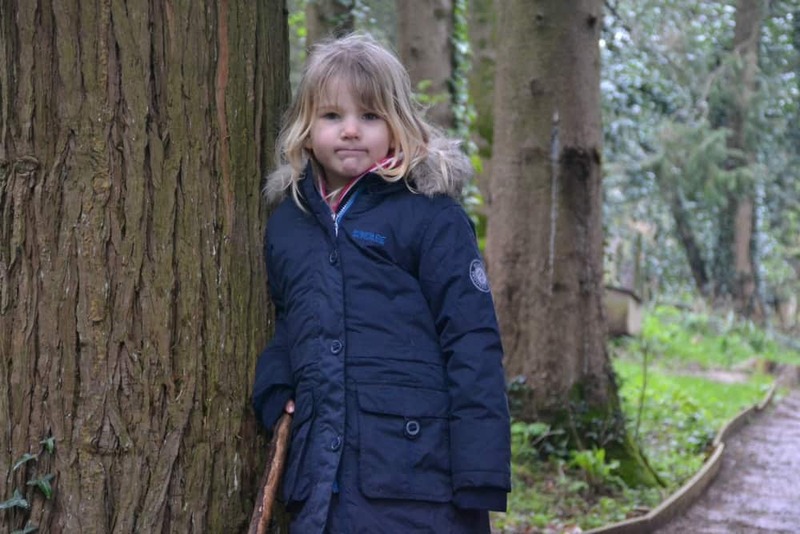 Tin Box Tot was kept cosy during our day in the woods thanks to her Craghoppers Farley hooded jacket, Craghoppers Discover Adventures trousers and Regatta Treasure II Parka. Tin Box Baby also wore her new Regatta Parka, trousers and fleecy jumper. These items and similar are available from Hawkshead. Disclosure: we were given free entry to Wildwood Escot as part of our stay at Oakdown Holiday Park. We were not asked to write a review. 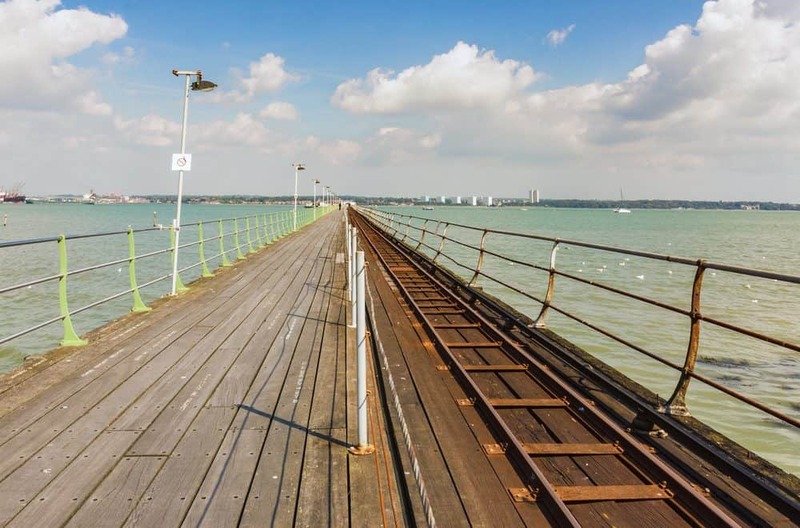 However, we enjoyed our day out and wanted to share it on the blog. All views are my own and those of my family. 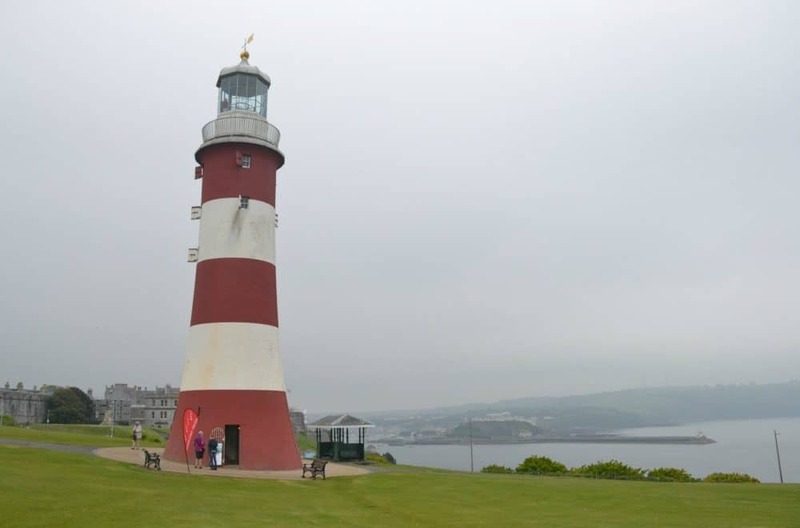 We were sent the Regatta and Craghoppers children’s clothes in exchange for a feature on the blog. We genuinely rate these brands for adult and children’s outdoor clothing.